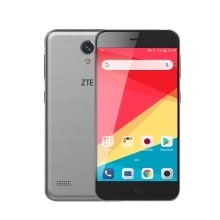 ZTE A520 features a 5.0Inch HD maximum full display, visual boarderless, large storage and strong processor, perfect for watching movie, provides you with an ultimate visual feast. 8MP camera on the rear and 2MP front shooter let you capture the most memorable moments of your life. 5.0Inch HD Widescreen: 5.0Inch HD display designed on the widescreen, perfect for watching movie and picture, unparalleled using experience. Storage: The memory (1 GB) of ZTE A520 cannot be expanded, but the storage (8 GB) can be expanded with a microTF card up to 128GB. Big Battery: 2400mAh battery capacity, ensure your energy all day, you can just enjoy every moment. Cameras: 8MP camera on the rear and 2MP front shooter capture the most memorable moments like never before. General Design: Exquisite workmanship, brushed texture, delicate and round shape, classic and stylish colors, smooth touch. NOT Global firmware, But ZTE A520 supports multi-language, GOOGLE PLAY, Facebook, youtube, etc. 3. What&apos;s the Languages of ZTE A520? Multilanguage Support, please check out the screenshot picture.